It was an occasion worthy of being on anybody’s bucket list. And even Oor Wullie was overwhelmed when he turned up at the Aberdeen launch of Scotland’s first ever national public art trail last night. 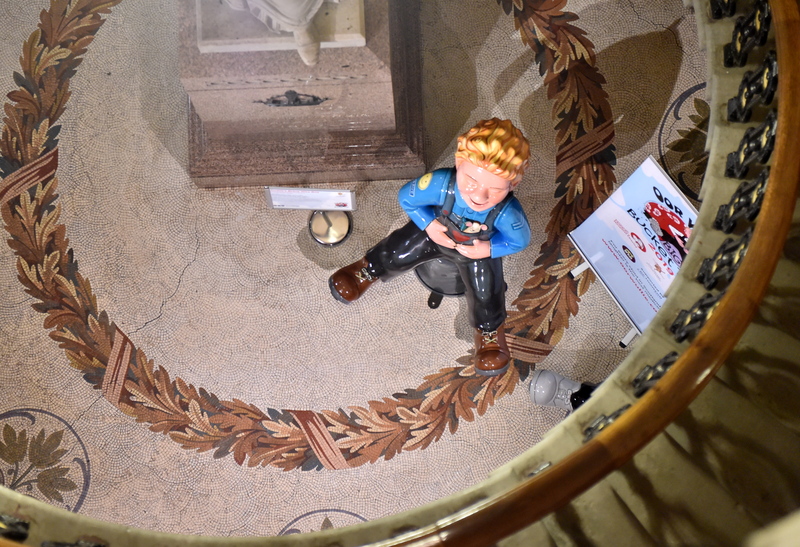 The event, which was attended by the city’s Lord Provost, charity representatives and corporate sponsors, saw details of Oor Wullie’s Big Bucket Trail being unveiled in the Town House. 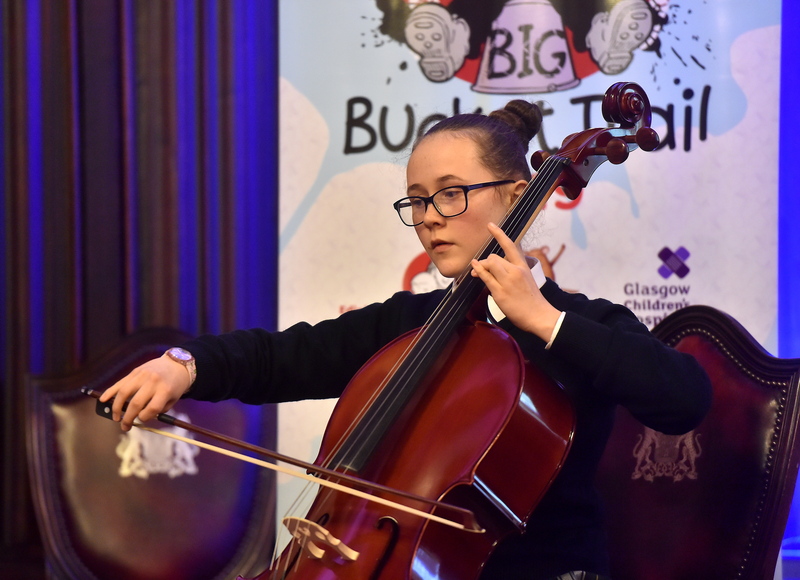 Ella Skinner, a former patient at Aberdeen Children’s Hospital, played her cello to the audience. The initiative, organised by Wild in Art and supported by DC Thomson, will see special sculptures of the cartoon character erected for 11 weeks next summer, helping raise money for the ARCHIE Foundation, the Edinburgh Children’s Hospital Charity and Glasgow Children’s Hospital Charity. 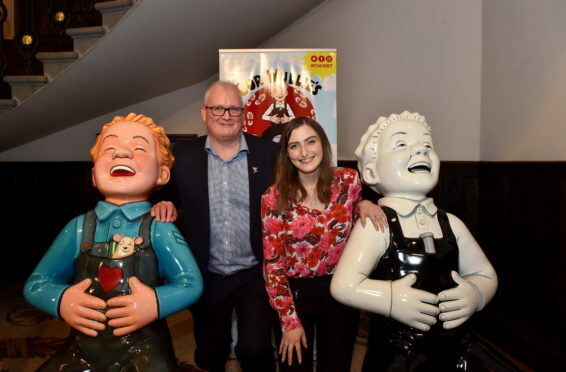 The Bucket Trail will wind its way through five cities: Aberdeen, Inverness, Dundee, Glasgow and Edinburgh, with 150 life-size statues of Wullie dotted along the route. A launch of the trail in Inverness will take place early next year. At last night’s launch, a call was made for businesses to come forward and sponsor a sculpture, with Aberdeen University and the Bon Accord Centre having already committed to sponsoring their own versions of Scotland’s naughiest wee lad. Speaking at the event, Lord Provost Barney Crockett said: “The people of Aberdeen have always lined up to do great work for our charities, and I am sure that they will respond magnificently. “There will also be a huge attraction to the area as a result of this and the ARCHIE Foundation will be brought even closer to the people of the city. 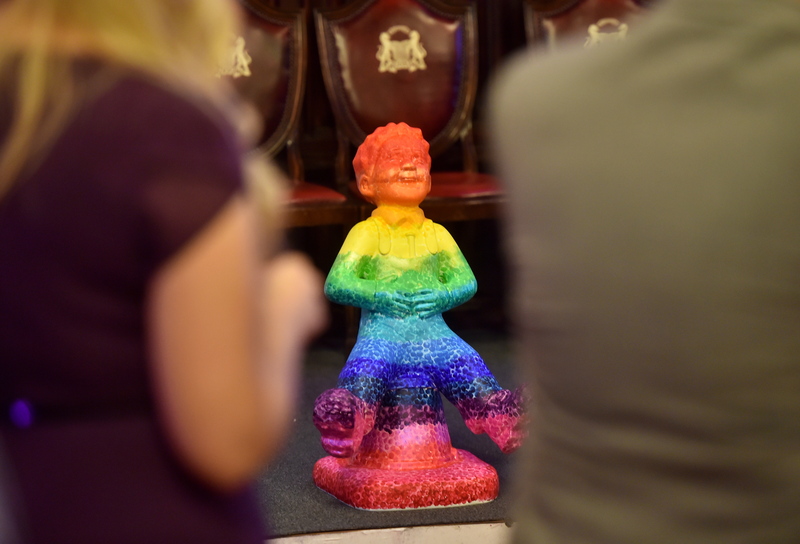 Local schools have also been encouraged to design their own ‘Wee Oor Wullie’ sculptures – with a Wow factor – which will be displayed in community locations next summer before being returned to the schools as permanent mementoes. Schools have the chance to decorate the smaller Wullies. David Wood, chief executive of the ARCHIE Foundation added: “The more money we raise, then the more children we can support across Aberdeen, Grampian, Tayside and the Highlands. Emily Findlay talking at last night’s launch party. 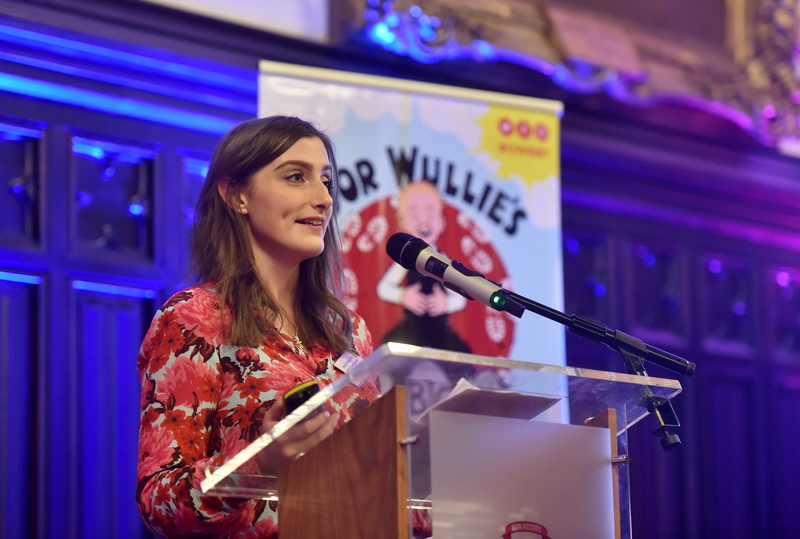 Young people who have benefited from the Archie Foundation also spoke at the event, including 23-year-old Emily Findlay. 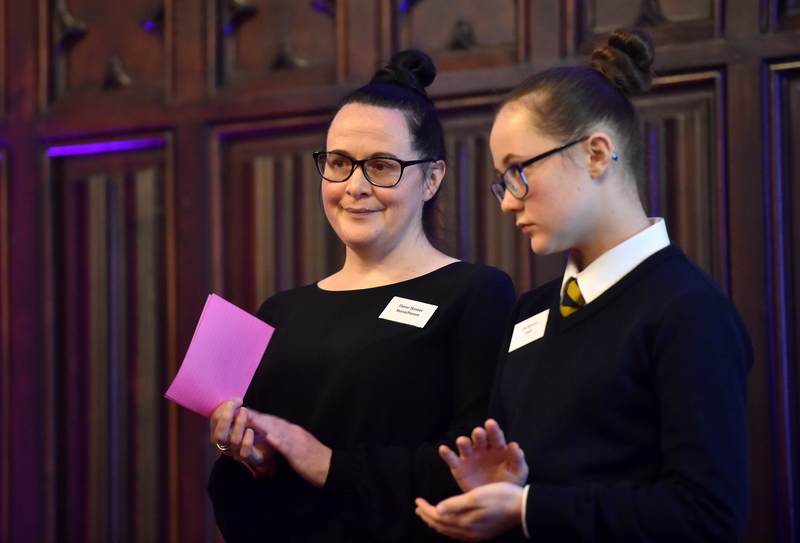 Her treatment for cancer, which began when she was just 14, was made easier as a result of the foundation’s work to ensure her family could travel from Orkney to be at her bedside during treatment. Elaine and Ella Skinner. Elaine is a children’s nurse.